TOPEKA — Starting Monday, licensed gun owners will be allowed to bring their concealed weapons into more government buildings in Kansas and people who try to bring them into places where they are prohibited won’t face criminal penalties. The provisions are part of an expansion of Kansas’ concealed carry law passed during last year’s legislative session as the federal government was discussing gun-control measures in the wake of a mass shooting at a Newtown, Conn., elementary school in December. The new rules allow people with concealed carry permits to bring firearms into public buildings deemed not to have adequate security measures, such as metal detectors and trained guards. Those public buildings could include college and university campuses, though they – like local governments – can seek exemptions while they try to beef up security to a standard that would allow them to ban guns. Previously, concealed guns were generally banned in courthouses, state offices and other public buildings where officials post notices. State Sen. Forrest Knox, chief architect of the new regulations, said the changes are meant to protect the “constitutional guaranteed individual liberties” of law-abiding citizens. 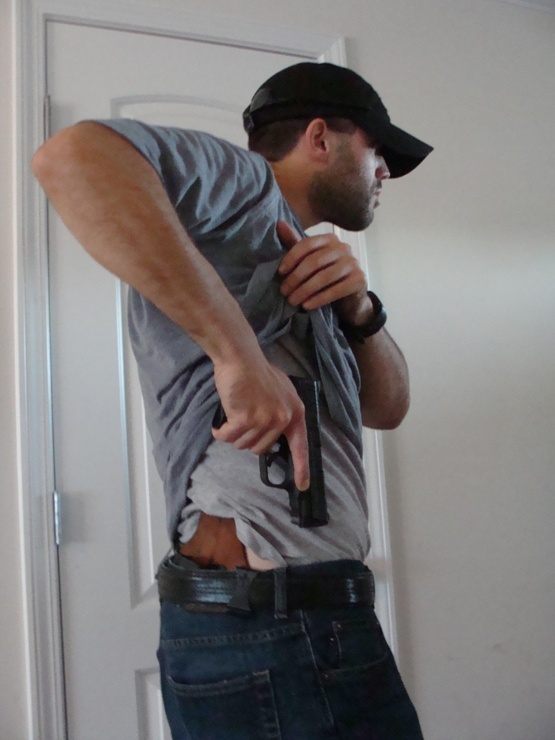 More than 60,000 concealed carry licenses have been issued in Kansas, including 16,000 in the first five months of 2013. Cities and counties can seek six-month exemptions while they come up with new security measures. Colleges and universities can seek four-year exemptions. Critics have argued that the new regulations amount to an unfunded mandate on local governments and higher education. Compliance with the legal definition of adequate security measures, opponents said during legislative debate, would cost millions of dollars to implement scanners and increase the number of guards. Legislators provided no state funds to offset the cost of security measures. The law also changed language in Kansas’ 2007 statute regarding efforts to carry a concealed weapon into a building declared free of guns. The change eliminates the possibility of a licensed concealed carry permit holder being arrested for trying to gain access. Instead, the permit holder may be denied access or asked to leave without criminal penalty. The law also gives school districts the authority to allow certain designated teachers and staff to carry concealed weapons in buildings. The exceptions are the state schools for the blind and deaf. Knox and Republican Gov. Sam Brownback said they foresee little trouble implementing the changes, which apply to hundreds of public venues statewide. Patricia Stoneking, president of the Kansas State Rifle Association, said that cities and counties should abide by the decisions of state legislators. “We maintain that the state operates under the rule of law and individual jurisdictions must abide by that law regardless of their personal feelings about the law,” she said. People may also eventually be allowed to carry concealed guns into the Capitol. The Statehouse was given until July 1, 2014, to come up with what are deemed adequate security measures. The date allows for the completion of renovation to the Statehouse, which has been going on for more than a decade. It is anticipated that security to the building will be revamped to improve public safety, but details haven’t been announced. Public access is currently limited to two entrances: one for people walking in from street level and one through the basement garage. In both cases, armed guards monitor access, including use of metal detectors. Legislators and other building employees with key cards enter through other access points. One major insurance carrier has said it won’t renew polices policies for districts or colleges where concealed guns are allowed. The company, EMC Insurance, which insures 90 percent of the state’s 286 school districts, cited greater liability risks for its decision. In response, Independence, Coffeyville and Neosho community colleges in southeast Kansas will join forces to provide coverage through an insurance broker at competitive rates. The colleges are hoping to expand the coverage to school districts and further reduce rates. Knox said there were no statistics to support EMC’s liability claims. A good start to an open carry policy/law which is preferable in any case. Clothing restricting ease of drawing a personal protection weapon can get you killed. It just makes sense to have unrestricted access to a weapon when seconds count.